What subjects currently hold your interest? Which trends would you like to know more about? Your answers to these questions will help us to get to know you better and put us in a better position to deliver the information that you are looking for. Hence our request that you share with us the three subjects that are most on of your mind right now and that you would like to see covered in future issues of Business Digest. The survey will take you less than a minute to complete but your input will be an invaluable help to us. 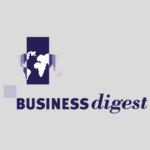 Armed with your feedback, Business Digest can continue offering you high quality information that is in line with your expectations.